Hednesford Town Newlands Owls Under 10’s are currently on the lookout for 2 to 3 experienced players for next season. We will be moving to under 11’s, we train at Cardinal Griffin School, Cannock on Tuesdays 6-7. If you are interested please contact Craig Millward on 07967929341. Are you looking for a change from your existing team and ready to take on a new challenge? Bloxwich Town FC are looking for experienced players to join their squadready for when the new season starts in September 2019. We are looking for a striker and possibly other positions too. We train every Wednesday 6-7 and Saturday 10.45-12 over Leamore Park. Saturdays 10.45-12 over Leamore Park. Our matches are normally 10.30 every Sunday. We pride ourselves on passing football and progressive coaching in a friendly and safe environment with supportive and friendly parents. 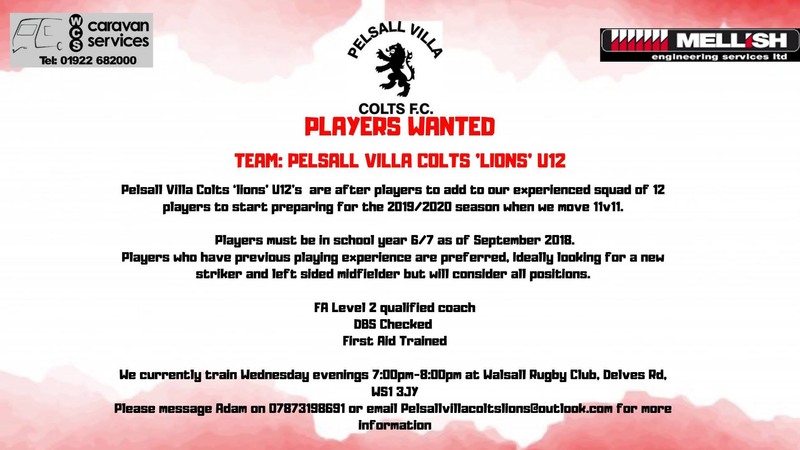 We are looking for new players to join our successful team (All positions considered) ready for when the new season starts in September 2019. 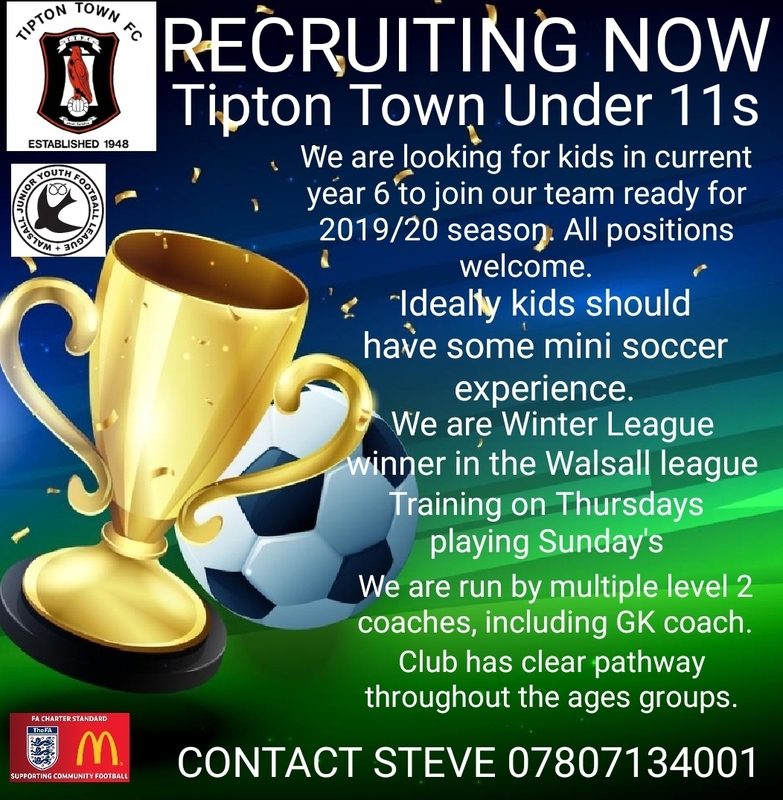 We Play our games in the walsall junior youth league & train on a Tuesday and a Friday evening. START TRAINING WITH US NOW! We pride ourselves on passing football & progressive coaching in a friendly environment with supportive parents. 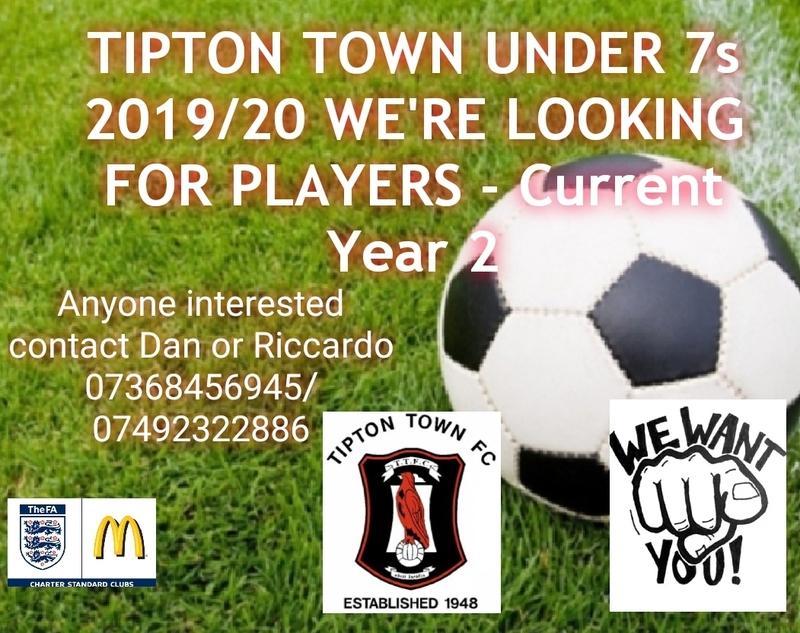 Please contact Lee on 07445361605 or Kevin on 07912482797 if you are interested in joining the team. 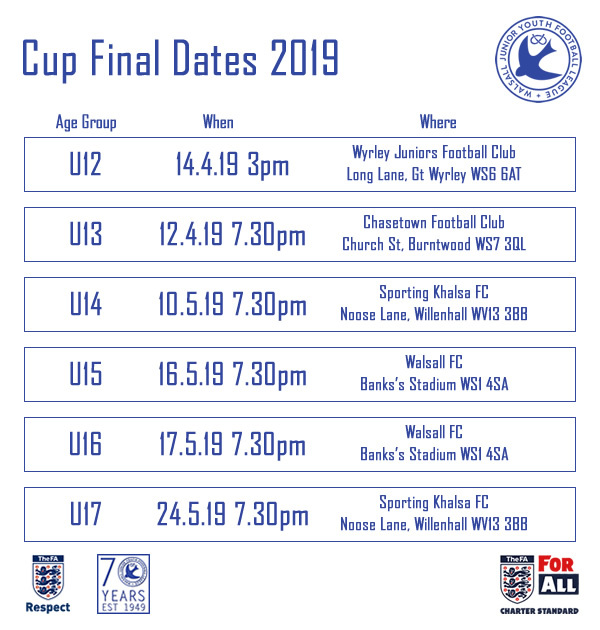 If your child is in current year 5 (going into year 6 September 2019), and would like to join a FA Chartered and well established organisation with many years experience within youth football, we would love to hear from you. committed and enthusiastic players, any position. We train and play on 4G at Our Lady & St Chads, Fallings Park. Coach is Level 2 qualified.